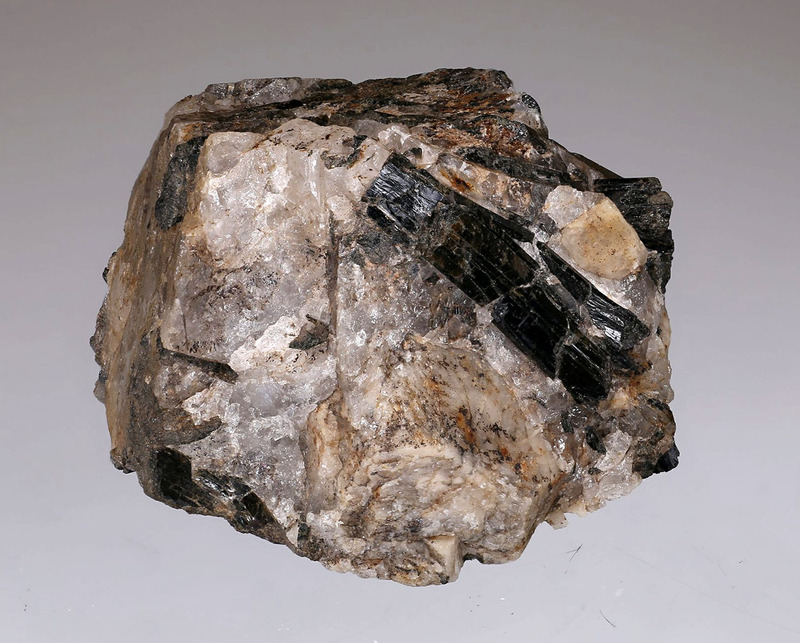 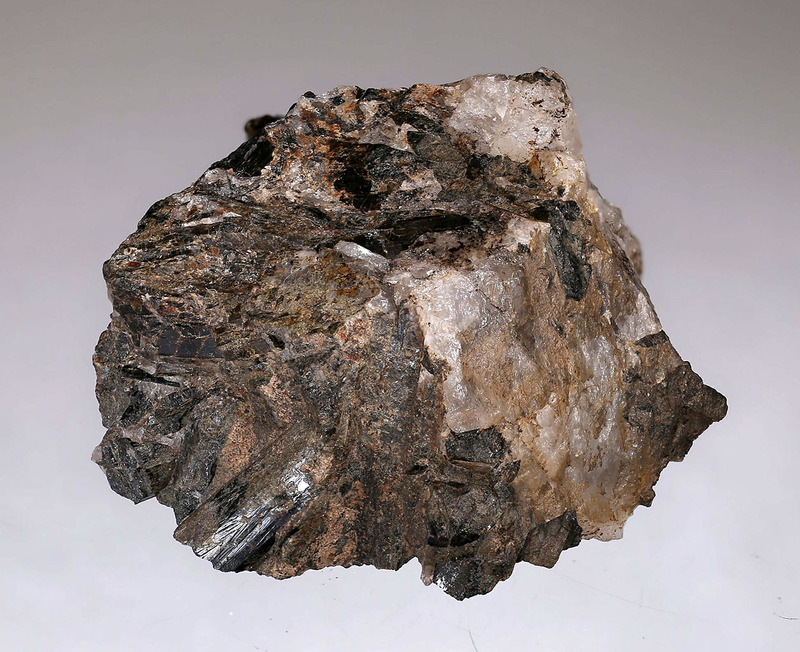 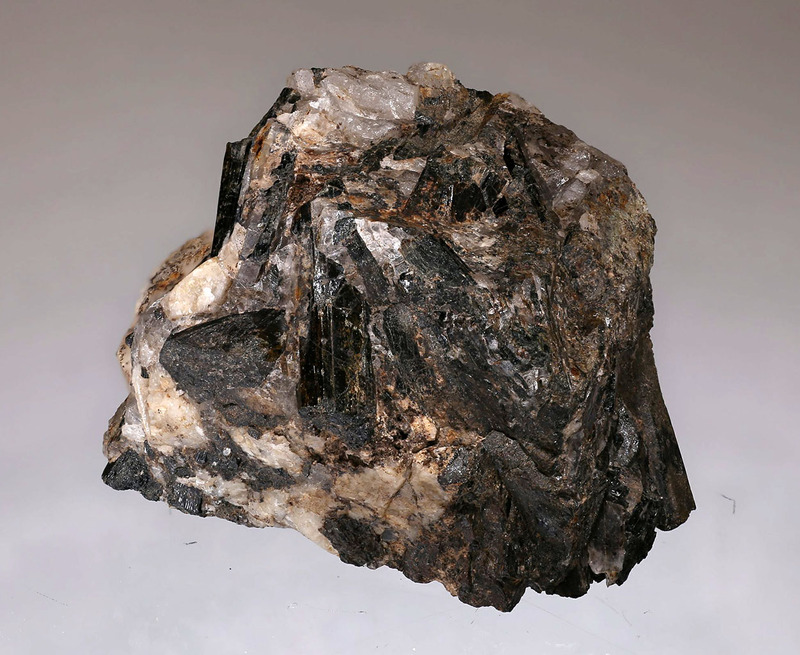 A very interesting historic specimen with black, lustrous aegirine crystals up to 1.8 cm on matrix from Porsgrunn in Norway. 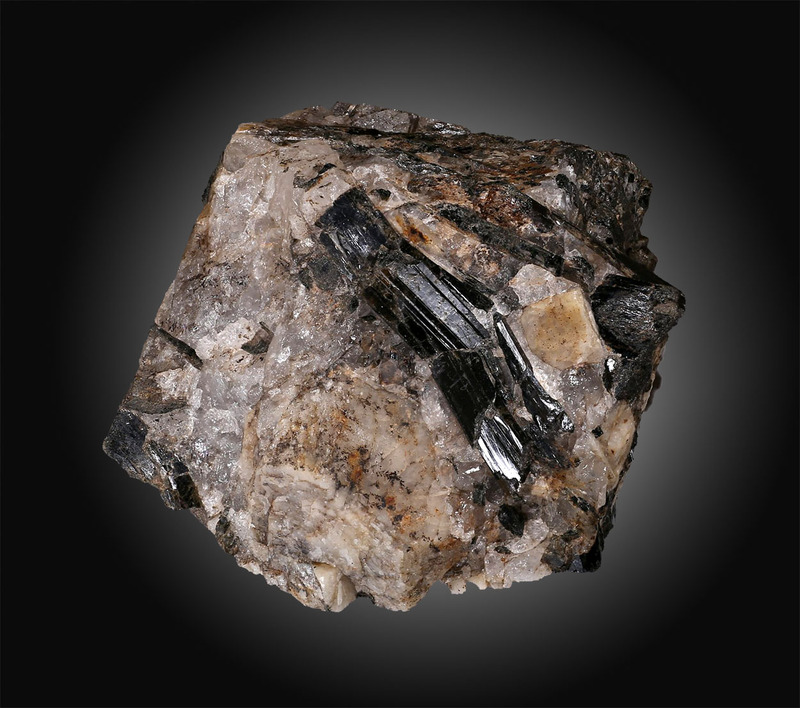 The crystals re not terminated and are embeddedin matrix with nicely developed prismatic faces. 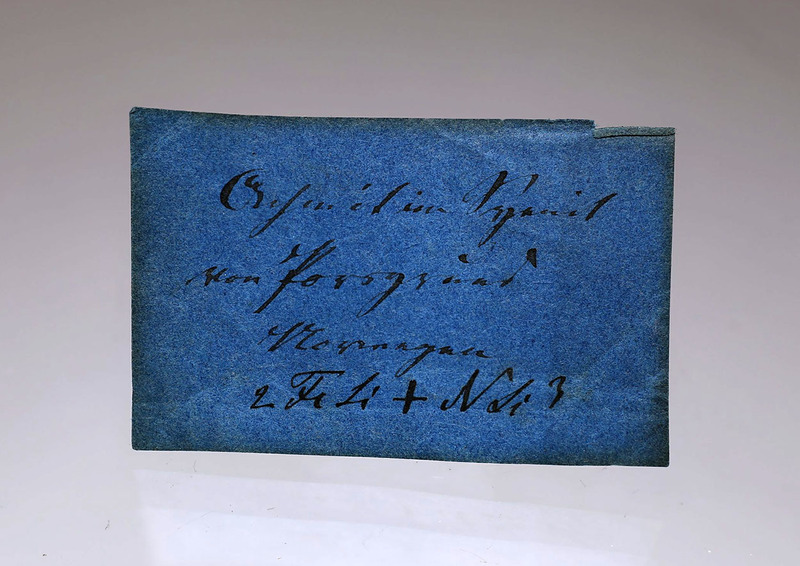 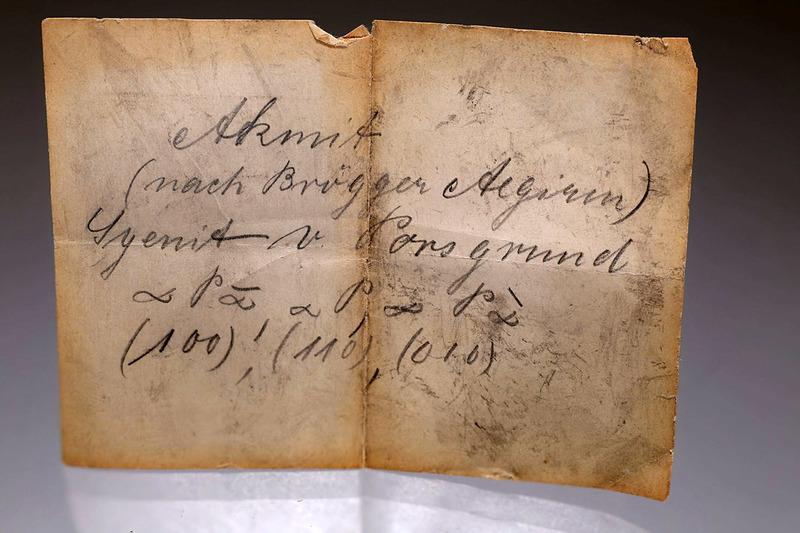 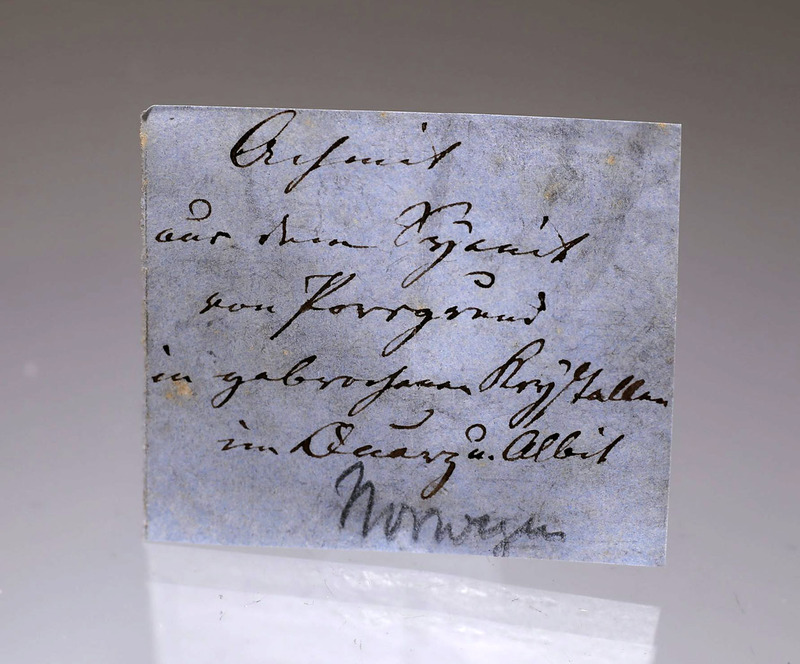 The specimen is accompanied with 3 handwritten historic labels from the 19th century and is very interesting for any collectors of historic minerals specimens with pedigree.